The municipality of Chiasso in Switzerland is going to let residents pay their taxes in bitcoin from the start of next year. The decision is part of the country’s efforts to become a global hub for financial technology. According to the swissinfo.ch portal, authorities approved the new scheme after discussions with cryptocurrency and blockchain companies based in the area. Under the plan, tax payments made in bitcoin cannot exceed 250 Swiss francs (about $265). “Chiasso is recognized internationally as an epicenter of a growing technological and economic growth for both the canton and in Switzerland,” said the Mayor of Chiasso Bruno Arrigoni. The head of the town's administration Umberto Balzaretti explained the canton's focus on the fast expansion of fin-tech and cryptocurrency as a way to move from the traditional financial sector after the financial crisis. Chiasso also aims to rival the country's so-called "Cryptovalley" at Zug which last year announced it would accept payments (of up to $208) in bitcoin for municipal services. Many Swiss cantons have been trying to attract international start-ups. 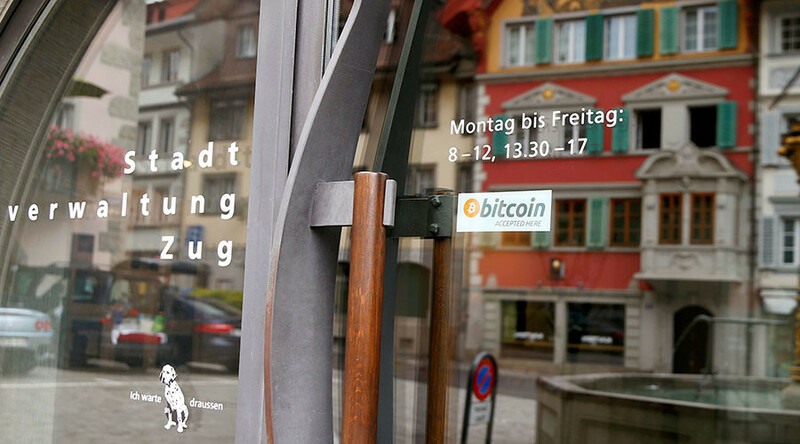 Zug has already attracted global start-ups such as Xapo, Breadwallet, Etherisc and Monetas. The Swiss town has even drawn up a 2035 development plan to ensure its economy can thrive as global tax laws get tougher. Authorities in Geneva announced this month a pilot blockchain project for the electronic processing and archiving of official documents.